As part of upgrading my personal vSphere home lab from an Apple Mac Mini to an Intel NUC (more on this in a future blog), I have been researching to see if there are other alternatives for adding an additional network adapter. The Intel NUC only includes a single built-in ethernet adapter which is similar to the Mac Mini. However, the NUC also lacks additional IO connectors like a Thunderbolt port which the Mac Mini includes and can support a Thunderbolt to Ethernet adapter. I think this is probably the only downside to the Intel NUC platform which has been similar feedback that I have seen from other vSphere home labbers who currently use or would like to use the NUC. Perhaps, with the next update of the NUC platform code named "Skull Canyon", the rumored Thunderbolt 3 / USB-c connector may make things easier as some of the existing vendors who produce Thunderbolt to ethernet adapter also use common drivers like the Broadcom tg3 which have historically worked with ESXi. One option that has been suggested by many folks over the years was to see if a USB based ethernet adapter could be used to provide additional networking to ESXi? Historically, the answer had been no because there were no known device drivers that would work with ESXi. I had even looked into this a few years ago and although I ran into some folks who seemed to have made it work, I was never able to find the right USB ethernet adapter to personally confirm myself. It was only until last week, I decided to start fresh again and after a bit of Googling I came across an old VMTN thread here where VMTN user AK_____28 mentioned he had success with the StarTech USB 3.0 to Gigabit Ethernet NIC Network Adapter and using a custom compiled driver that was posted over here by another user named Trickstarter. UPDATE (02/12/19) - A new VMware Native Driver for USB-based NICs has just been released for ESXi 6.5/6.7, please use this driver going forward. If you are still on ESXi 5.5/6.0, you can continue using the existing driver but please note there will be no additional development in the existing vmklinux-based driver. UPDATE (03/29/16) - Please have a look at this updated article here which includes ESXi 5.5 and 6.0 driver. Disclaimer: In case it is not clear and apparent, you should never install any unknown 3rd party software on your ESXi host as it can potentially lead to instability issues or worse open yourself to a security hole. The following solution is not officially supported by VMware, please use at your own risk. I decided to bite the bullet and give this solution a try and purchased the USB ethernet adapter from Amazon here. As you can imagine, I was pretty bummed to see this since I was afraid that something like this would happen. I was not sure if the device I had purchased no longer worked or if was the drivers? I saw that these modules were initially compiled for ESXi 5.1 (at the time, that was the latest version) and the only difference was that I was using a much newer version of ESXi, specifically 6.0 Update 1. I decided to install the latest version of ESXi 5.1 Update 3 and tried the process again and to my surprise, the modules loaded without errors. I suspect that this was a hard dependency on the namespace version which was version 9.2.1.0 and the latest version is now 9.2.3.0.
to verify that ESXi did in fact did claim the USB ethernet device and as you can see from the screenshot below, it did indeed! Once added, I hopped over to the vSphere C# Client to see if the device is now showing up under the Network Adapters tab, which it is. Finally, the last test was to make the vsb0 (this is how ESXi names the device) device the active connection while moving my existing vmnic0 to stand-by. Networking connectivity continued to function and I was even able to transfer an ISO image over the USB ethernet adapter without any issues. So it looks like it is possible to get a USB based ethernet adapter to function with ESXi, at least with the specific model listed above (PCI ID 0b95:1790). The challenge now is to see if there is a way to build an updated version of the drivers targeted at the latest ESXi 6.0 release. From what I have been able to follow on the forum here, it looks like there was also some amount of non-trivial code changes that were required to get the driver to function. If true, without those changes, it can difficult to re-compile the driver. I have reached out to the original author to see if he might be able to share the changes he made to the driver code. In the mean time, if folks are interested in giving the build process a try, Trickstarter did a great two part write up on how to setup your build environment and compile an example driver. Although the write up is targeted at ESXi 5.x, you can download the equilvenet packages for ESXi 6.0 which includes the ESXi Open Source Disclosure Package as well as the VMware Toolchain which is required and used to compile the source code. I have provided the direct download links below. You can also find the latest version of the USB ethernet adapter ax88179 ASIX driver here. I have also attempted to compile just the driver but have already ran into some issues. I have not had time to dig further, so not sure how far I will be able to get. Any tips or tricks others may have for compiling against ESXi 6.0, feel free to share them and I will give them a shot when I get some time! Hi! Nice write-up. Would be a great solution to add another interface to 5th gen + Intel NUC’s. Are you going to dig in further to compiling a driver for 6.0? If not, any ideas on where to find someone to hire for the task? Thanks for writing this up, I’m in the process of messing around trying to setup a NUC home lab with (4) NUC 5i5RYKs, First step was altering the bios so I could install vcenter… next step is this. How is the performance on the USB nic? Do you think you are getting USB 3 speeds? I’ve not done any performance tests, it was merely testing its functionality. If I can get it working for other versions of ESXi, I may run a few tests. @William, you are right about the m.2 not working after flashing the bios. Just discovered this last night. 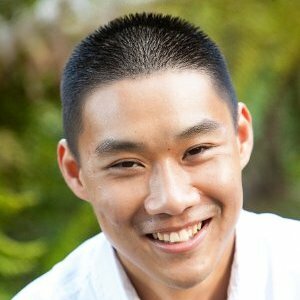 How were you able to get Vcenter to install? ESXI shows a bunch of random characters for me and it was causing vcenter install to hault. If you did happen to update using earlier version, the fix is actually simple and you just need to go into the BIOS itself and re-enable the M.2 slot. unfortunately the vm-help.com forums are dead. Your yesterday’s post was the first since five months, and the user Trickstarter has not visited them for two years. Back in the ESXi 5.0 days several people who developed custom ESXi drivers (based on the published ESXi Open Source Code) were quite active there, but these times are over. I tried to reach out to Trickstarter myself a while ago with no success. I hope you are luckier than me. I cannot believe that it is so easy, but I was able to sucessfully load the two binary modules in ESXi 6.0 Update 1, after I replaced every occurence of “9.2.1” with “9.2.3” in them using a Hex Editor. I’m not able to check if this really works, because I do not have this USB network adapter available, but chances are good … Can you please try that? I used your files on my 6th gen NUC but don’t see the USB NIC showing up when I run esxcfg-nics -l.
Hey, that sounds great… That would help me a lot! This is hugely helpful! Thank you so much!! Is there a way to run the commands on ESXi host startup instead of having to run them each time the host is restarted? Great info, just what I am looking for! I was a bit confused where you “included the links below for your convenience:” as those links do not seem to target any files, however the other link: http://www.vm-help.com/forum/viewtopic.php?p=15800#p15800 does. Thanks! i have also stopped usbarbitrator with /etc/init.d/usbarbitrator stop befor loading the usb. link does not go up. You probably have already been told of this option but I have seen the Jetway Admpeidla Mini PCIe 2X Gigabit LAN used in conjunction with older NUCs. 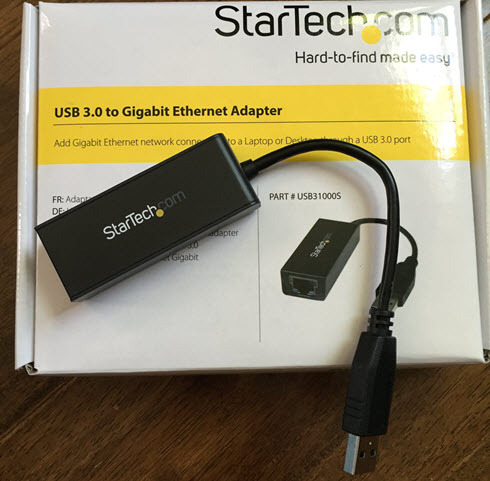 I have orderd the usb giglan adapter from startech, and will try them. I have even tried “esxcli network nic up -n vusb0” and it is not brought up. Does this USB 3 to gigabit adapter work with the new ESXi 6 Update 2? I’d like to use 3 of these NUCs in a VSAN 6.2 cluster but I don’t think it will work (well) with a single NIC if its doing VSAN,vMotion, FT, VM traffic? I was thinking of using the onbaord NIC for VM traiffic and then using 2 USB3 to Gigabit adapters for vMotion, FT and VSAN traffic. Great article!! I never considered NUCs before for a VSAN cluster. Thank you for your effort and i hope to hear updates of this working in 6.0u1 soon would make for a nice improvement in my home lab. Foe ESXi 6, I believe the versions above should all be 9.2.3.0, but haven’t checked yet. All modifications I made to the source code are within if statements , so should be easy to spot. As I said before, if you would like the source code and pre-compiled binary (for 5.5) let me know what would be the best way to get them across to you. Thanks for sharing. I’m actually surprised to hear that you’ve been successful in compiling with only changing the macros. I’ve been working internally with an Engineer who works on our USB code and we’ve had to make quite a few changes to get it to properly compile and also correctly loaded (at least for 6.x). Given this is not an “officially” supported project, there’s been other more pressing matters the Engineer needs to attend to, so hopefully we’ll have an update soon on that front once he gets some free time. I agree that not requiring hacked usbnet module is ideal. I do have a build toolchain available, so would be interested in the steps you took. Feel free to shoot me an email info [dot] virtuallyghetto [at] gmail [dot] com and I can see if I can reproduce for 6.x. Anyway, I will be sending you the source and binary soon. So would loading as you did, for ESXi 5.1, create a persistent setting? If not then is there an easy way to make the changes persistent? Anyone interested in making these drivers and changes available as a VIB so that the changes will stay persistent in ESXi 5.1? Seems to use the same chipset? So i loaded up a NUC with ESXi 5.1 and have loaded the drivers for the USB NIC and assigned it to a vswitch. Unfortunately I am unable to maintain network connectivity over the USB NIC. vSphere client connection starts loading inventory then times out. If I load up a VM and try to use it I can ping a host on the network fine, DNS lookups function, and DHCP will (usually) pull an IP, but other than that network connectivity is broken. Any thoughts? I did notice that the usbnetvz026.gz file linked actually contains a usbnetgz025 file. Would this matter? Thanks to Jose Gomes, I actually found out the compiled driver that I had built was a working driver for both ESXi 5.5/6.0, however I thought it wasn’t functional as I was not able to get valid link when ethernet cable was plugged in. I was also seeing some strange DMA errors spamming the vmkernel logs. It was after talking to Jose, did I realize the only difference between my env and his was that I was testing the USB NIC on my Mac Mini. Once I tried it on the Intel NUC, it immediately showed link (where as before it only claimed the device). So that’s some great news and big thanks to Jose for reaching out. Now, the not so great news is that I ran a basic iPerf test and I found that I was not able to get the full speed of the GigE interface, in fact getting about ~50% of the NIC w/inconsistent speeds. I’m going to run some additional tests and see if Engineering can spot any tweaks we could make to improve the performance, especially as this is running under USB 3.0, so hopefully we can do better. This is great news, can you publish the vib as is and any updates later on if you manage to get improvements? I’m running ESXi 6 update 2 and using the previous driver can get it to load but not bring any link up ???? Amazing work. I would love to get a copy of the VIB as is also but i understand wanting better performance before sharing it. Would you mind to publish the vib as it is ? If you do want to remove the driver, please ensure you disconnect the USB device before unloading the module and then removing the VIB else you can cause PSOD. One interesting observation thanks to Jose was that when you send traffic to the USB NIC, you’re able to get consistent gigabit speeds. The variation is when traffic exists the USB NIC, is where we see the bandwidth/transfer speeds being sporadic. If we make further progress, I’ll update the thread here. and that as you mentioned earlier with the manual installation, it is not persistent across a host reboot unless you add it to /etc/rc.local.d/local.sh for esxi 6. Got it to install the VIB but sadly i am still having the same issue with it not wanting to come up. I guess ill have to keep digging. Its possible that your BIOS may not have USB 3.0 enabled, this was definitely true for earlier versions of the Intel NUC where you had to explicitly enable 3.0 in the BIOS. For newer versions of the BIOS, USB 3.0 is now enabled by default and you can’t even go back to 2.0.
my problem is my lab is on the smallest form factor dell 7010 which doesn’t give you the options in the bios to change the xHCI mode so when i plug a usb 3 device in the correct usb 3 port esxi only detects it as a 2.1 I am still trying to find a work around but no luck so far. Just to update everyone on what i found related to my issues with xHCI and smart auto vs enabled. I still cant change the setting in my bios from smart auto but once i updated my esxi to 6.0.0, 3620759 it actually started working. As you mentioned, there is a fundamental problem with the transmission speed of this driver. My own tests with iPerf were showing an average of 600 Mbits/sec when transmitting and around 912 Mbits/sec receiving. That was with no other traffic and a TCP window size of 128Kb. Larger window sizes actually reduced the speed. 2016-03-24T12:02:16.538Z cpu0:37849)VMotionRecv: 578: 1458820629918389 D: Estimated network bandwidth 102.221 MB/s during disk copy. 2016-03-24T12:19:17.836Z cpu1:41059)VMotionRecv: 578: 1458821687053456 D: Estimated network bandwidth 112.436 MB/s during disk copy. 2016-03-24T12:23:59.644Z cpu1:42338)VMotionRecv: 578: 1458822097784233 D: Estimated network bandwidth 104.313 MB/s during disk copy. 2016-03-24T13:05:03.570Z cpu2:36496)VMotionRecv: 578: 1458823815072290 D: Estimated network bandwidth 33.694 MB/s during disk copy. 2016-03-24T13:22:06.459Z cpu1:39622)VMotionRecv: 578: 1458824864780505 D: Estimated network bandwidth 33.535 MB/s during disk copy. 2016-03-24T13:36:34.523Z cpu3:43424)VMotionRecv: 578: 1458826221582530 D: Estimated network bandwidth 34.071 MB/s during disk copy. 2016-03-24T14:11:37.090Z cpu0:59030)VMotionRecv: 578: 1458827976536533 D: Estimated network bandwidth 40.222 MB/s during disk copy. Anyway, I have been trying different changes to the code, but so far have been unable to improve the transmit speed. Unfortunately, there are certain features of the driver that are simply not supported on ESXi, which I think would make a difference. For example, the adapter supports both scatter-gather (SG) and TCP segmentation offload (TSO), but hose features are not supported by usbnet on ESXi. There is also the skb_clone function, which is not supported at all by the vmklinux — it is explicitly marked as not supported in skbuff.h. On another note, the dual-port adapter from Startech is also claimed by the driver with no issues. Also, unlike Steve’s comment below, I was able to add the vusb NIC to a vSwitch both via the command line and the GUI. I was able to add the adapter to the vSwitch using both the embedded host client as well as the web client but not the C # client. I haven’t done any performance testing yet though. I can also confirm that it works on my old Intel NUC dc53427hye. Shows up with link speed 10 half using the USB 2.0 ports and 1000 Full for the USB 3.0 port. Quick Update – Although you can use init scripts to reload the module, its not ideal as it’ll have to be custom for each env depending on how you’ve setup your uplinks. So then I though that I would remove the existing vib, reboot and install the new package…. It is not safe to continue. Please reboot the host immediately to discard the unfinished update. Does anyone have any idea what I am obviously doing wrong? Once that is done, you should be able to uninstall the old VIB and install the new one. Note: when I was trying various iterations of the driver I also got myself on a situation where the module would not unload. The only way out was to physically power down the server. Thanks Jose, that fixed my issue and allowed me to replace the original vib with William’s new one. Excited to see this. I think I’m having similar problems to someone before, at first I thought it was a usb3 issue, so I changed the setting in bios to xhci enabled. I can firm the adapter is now connected to a usb 3 hub. Its still showing as down when I do esxcli network nic list. I try esxcli network nic up -n vusb0 and it results in some messages below in the vmkernel.log. Adding to a vswitch, and connecting to the network results in nothing. 2016-03-29T04:29:34.025Z cpu0:39075)Mod: 4780: Initialization of ax88179_178a succeeded with module ID 4192. 2016-03-29T04:29:34.025Z cpu0:39075)WARNING: Elf: 2791: The module ‘ax88179_178a’ has a module signature that does not come from a trusted certificate. The module is loaded but treated as unsigned. 2016-03-29T04:36:28.408Z cpu0:36011 opID=a0e49d82)Uplink: 10364: Setting speed/duplex to (0 AUTO) on vusb0. 2016-03-29T04:36:28.409Z cpu0:36011 opID=a0e49d82)Uplink: 10383: Wait for device vusb0 async call failed. 2016-03-29T04:36:41.176Z cpu0:33888 opID=c2c5e2ab)Uplink: 10364: Setting speed/duplex to (0 AUTO) on vusb0. 2016-03-29T04:36:41.177Z cpu0:33888 opID=c2c5e2ab)Uplink: 10383: Wait for device vusb0 async call failed. 2016-03-29T04:36:46.342Z cpu3:33903 opID=77ac69c)Uplink: 10364: Setting speed/duplex to (0 AUTO) on vusb0. 2016-03-29T04:36:46.343Z cpu3:33903 opID=77ac69c)Uplink: 10383: Wait for device vusb0 async call failed. 2016-03-29T04:43:06.797Z cpu2:33898 opID=6e3eba9d)Uplink: 10364: Setting speed/duplex to (0 AUTO) on vusb0. 2016-03-29T04:43:06.799Z cpu2:33898 opID=6e3eba9d)Uplink: 10383: Wait for device vusb0 async call failed. Should of said, esxi 5.5u3. Sorry for the double post. Quickly plugged in a different adapter with the same chipset in (not startech) and Its showing as up but getting the messages below in the vmkernal log. The J5create (JUE130) version of this adapter is also working with this driver. I tested on an haswell era nuc, D34010wyk. It needed a bios update to expose the xHCI setting, and I had to update from 6.0GA to 6.0U2 before it would show link up. I’ve also moved the downloads from my dropbox, so please refer to that blog post for all the details. If you have any feedback, please direct it there. You seem to have closed (or not enabled) comments for that new post, William.